Looking for something special to do this weekend and into next week? Check out this list of special events. Many are free and most are family-friendly. Now — The third-annual Gingerbread Adventures returns to OMSI, where architects and bakers team up to create tasty masterpieces. See towering sculptures, sweet science demonstrations and build-it-yourself workshops. The exhibit continues through Jan. 1 and admission is included in regular admission fees. Visit omsi.edu for more. Nov. 17 through Dec. 31 — Lighting of Maddax Woods, 5350 River St. West Linn. Take a lighted accessible path through the wood to the viewing platform on the Willamette River to view wildlife and enjoy holiday lights. Free. Open daily 4 to 9 p.m.
Nov. 23 (5:30 p.m.) — Attend a Festival of Twinkling Lights as the City of Lake Oswego and the Lake Oswego Chamber of Commerce light the holiday trees. The fun begins at Bigelow Plaza (5th Street and A Avenue at Safeway) with the lighting of the holiday tree, then parade down State Street to Millenium Plaza Park (200 Evergreen Road) for the lighting of the Millennium Tree. The event features caroling by The Windjammers from Lake Oswego High and Company from Lakeridge High, plus a concert of holiday music played by the Millennium Concert Band. Hot cocoa, treats and Santa are all part of the fun. It's free — bring the whole family. 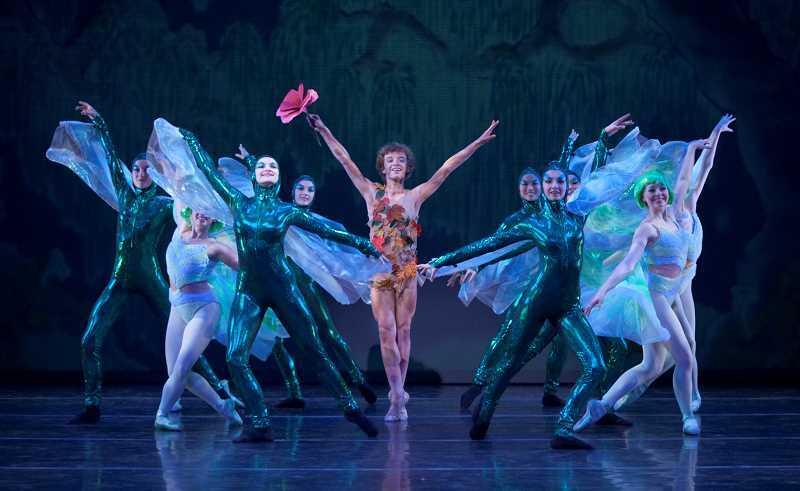 Nov. 23 through 25 (2 and 5 p.m. each day) — The Portland Ballet presents John Clifford's "A Midsummer Night's Dream" performed with Portland State University's Orchestra and PSU opera singers at Lincoln Hall on the PSU campus, 1620 SW Park, Portland. Tickets start at $10. Visit theportlandballet.org or call 503-750-3157 for details. Nov. 24 (11 a.m.) — Broadway Rose Theatre Company presents its 9th-annual Santa Sing-Along at the New Stage, 12850 SW Grant Ave., Tigard. Enjoy singing favorite holiday carols, led by Broadway Rose performers and Santa's elves, and a special story by old St. Nick himself. Tickets are $10 for children ages 2 through 18 and $12 for adults. Order online at broadwayrose.org or call the box office at 503-620-5262. Nov. 28 (5:30 to 7:30 p.m.) — Koi Fusion will bring a food truck to Christ Church Episcopal Parish, 1060 Chandler Road. Enjoy innovative and funky Korean fusion dishes. Food prices vary. The event is organized by Kristina Peterson, Christ Church's Youth Director and Cyndy Fletcher, Lake Oswego Parks and Rec Teen and Youth Program director.